FintQ the financial technology arm of Voyager Innovation, projects that loans processed through digital platforms will grow faster as more borrowers find it convenient and lending companies benefit from lower costs. This statement was made on the back of loan disbursements processed through Lendr, FINTQ’s digital lending platform, recorded a double-digit growth in the first quarter from the same period last year. This brings the total volume of loans booked and released through the platform to over Php30 billion (approx 500 Million USD) since Lendr was launched in 2015. Lendr has posted over 60% compounded annual growth rate in loans booked. Lendr was also previously listed Lendr as the top 10 Fast growing fintech companies in the Philippines by IDC. Lendr’s total loan portfolio mainly comprised of salary, personal, microfinance, mSME, and agricultural loans. 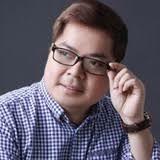 said Lito Villanueva, FINTQ Managing Director. 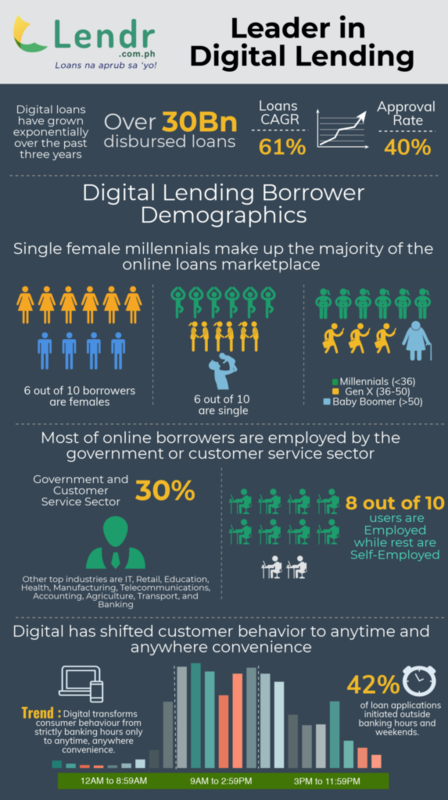 In 2017, majority of digital platforms’s borrowers comprised of the millennial market segment. In the first quarter of this year, this scenario remained as millennials are the ones who prefer digital platforms in terms of doing their financial transactions due to its convenience. He noted that 7 out of 10 Lendr borrowers reside outside Metro Manila, signaling that even in an environment where there is a proliferation of bank branches in urban areas, consumers are shifting towards digital platforms that can provide faster and secure access to funds. 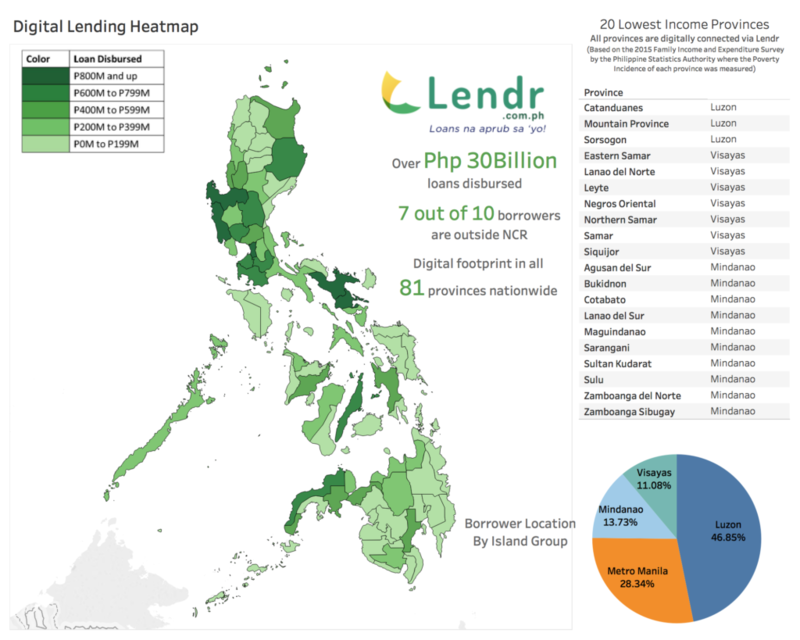 Lendr claims to have the most expansive loan offerings from partner banks and financial institutions in the Philippines. On top of the traditional salary, personal, home and auto loan products, it offers mobile crop loan, medicine loan, mSME loan, Overseas Filipino loan, and truck and equipment loan, among others.